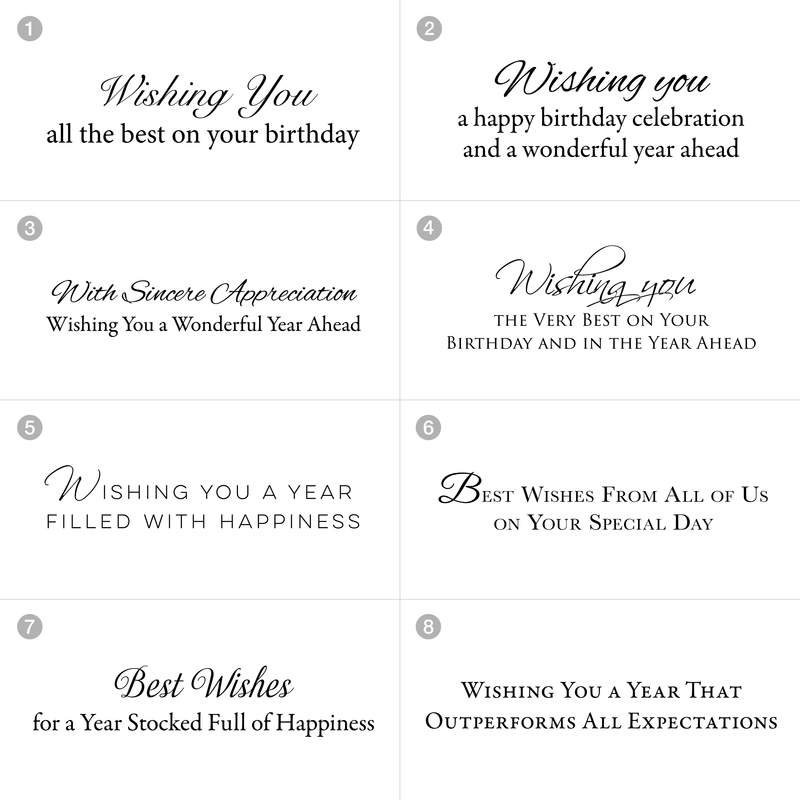 PREMIUM - A birthday card to meet all tastes, you can’t go wrong with this elegant, colorful design perfect for sending best wishes to clients and prospects. 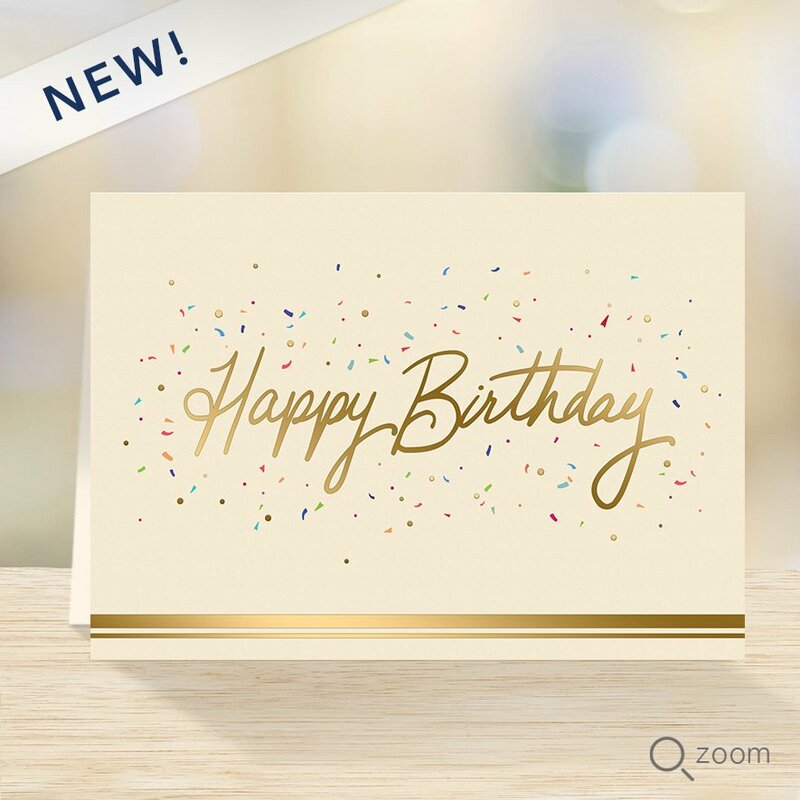 The gold foil and embossed text are sure to delight. Choose an inside verse at no additional cost.